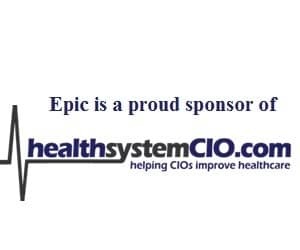 I felt compelled to write a few paragraphs about the most recent Leapfrog report that just came out on CPOE systems (full report right here on healthsystemcio.com), and their failure in repeated testing to catch a vast preponderance of errors that they should have caught. Leapfrog revealed that it had tested CPOE systems at 214 hospitals and found that those systems failed to properly alert providers for medication errors in HALF of medication orders and failed to generate alerts for ONE THIRD of potentially fatal order-related errors. With all of the hoopla around CPOE as a life-saving transformational technology (justified, in larger part, in my humble opinion), this is a very sobering statistic and one that necessitates a little deeper dive, so to speak. I see this bit of news as symptomatic of the drive on the part of many hospitals to just INSTALL CPOE. Perhaps, as an outgrowth of “meaningful use” compliance; perhaps also to be able to demonstrate a higher level of EHR Adoption on the HIMSS 7-Stage scale, but whatever the rationale, CPOE can NOT be seen as something to just install. It is a huge process in and of itself involving governance, set-up, testing, and overall clinician adoption initiatives. An organization reading this study for the first time must also take pains not to just turn all alerting on in their CPOE install because that will tremendously annoy physicians and cause “alert fatigue”, which means that physicians will, in essence, ignore ALL alerts they receive (serious and non-serious) because they are so bombarded with them and they are so disruptive. CPOE requires rigorous testing on all fronts and really should not be deployed until thoroughly vetted at the provider institution. The upside of the Leapfrog test was that, once the problematic CPOE configurations were corrected, the critical safety benefits of CPOE were again realized. There is a general, and very legitimate, fear in the health IT community that there will be a mad rush to just “shoehorn” CPOE systems in so hospitals can demonstrate “meaningful use” of health IT. Oddly enough, current “meaningful use” parameters mandate some form of CPOE but don’t, as of Stage 1, mandate Bedside Medication Verification (BMV) which has been found to act as a second safety net to catch medication errors and, in many cases, catch as many errors as CPOE or pharmacy systems do. True “meaningful use” really has to contain both features but neither CPOE nor BMV are implementations that an organization can do in a hurry. So, the recommendation from this author would have to be to implement BOTH systems but take the time to cover all bases in terms of stakeholder buy-in, detailed workflow analysis, rigorous testing, and project governance and accountability structures. Yes, economic stimulus funds are being dangled out there as carrots for CPOE, but the financial and clinical costs from suboptimal CPOE installations can more than wipe out the benefits from those economic incentives. Health Insurance Exchanges – Good or Bad News?